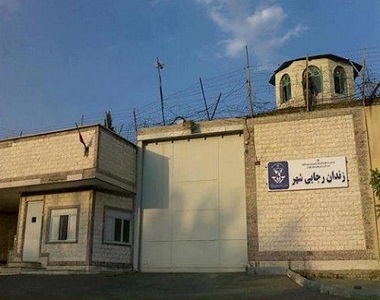 HRANA News Agency – A prisoner named Milad Biglaribeigi committed suicide due to bad conditions on Saturday night, December 2, 2017. Another prisoner, Mohammad Menbari, hanged himself by the curtains of his room on November 29. According to the report of Human Rights Activists News Agency in Iran (HRANA), Mohammad Menbari and Milad Biglaribeigi, ordinary prisoners committed suicide at Rajaee Shahr prison in Karaj on December 2, 2017 and November 29. Milad Biglaribeigi, 25, who was held in ward 5 of hall 16 of Rajai Shahr prison in Karaj, had demanded to be transferred to another hall due to his problems in that ward on December 2, 2017. He committed suicide after the prison officer did not pay attention to his request. A source close to Milad Biglaribeigi told HRANA’s reporter that prison authorities did not pay attention to Milad’s repeated requests to move him to another hall. He hanged himself by the curtains of his room due to severity of discomfort and incapacity, although he was fortunate to be saved by other prisoners. The prisoner has been transferred to the prison’s health center. His general situation is now satisfactory. The suicide occurred when another prisoner committed suicide for the same reasons in the same area three days earlier on November 29. Mohammad Menbari, known as Mohammad Lor, committed suicide on November 29 and lost his life. A source close to Mohammad Menbari told HRANA’s reporter, “Mr. Qobadi, the new head of Rajai Shahr prison in Karaj hanged Mohammad with a bracelet in front of everyone at the prison in order to bother him, had distressed and broke the pride of the prisoner. For this reason, Mohammad committed suicide by using prison curtains.